3D models are one of the most important aspects of digital production. They can be used in film, animation, gaming, architecture, and interior design. As a matter of fact, 3D modeling has been increasingly becoming popular these days, especially now that you can print your 3D models. That said, it is very important to choose the right 3D modeling software that does not only meet the need for creating 3D models but also makes it very easy for the designer. 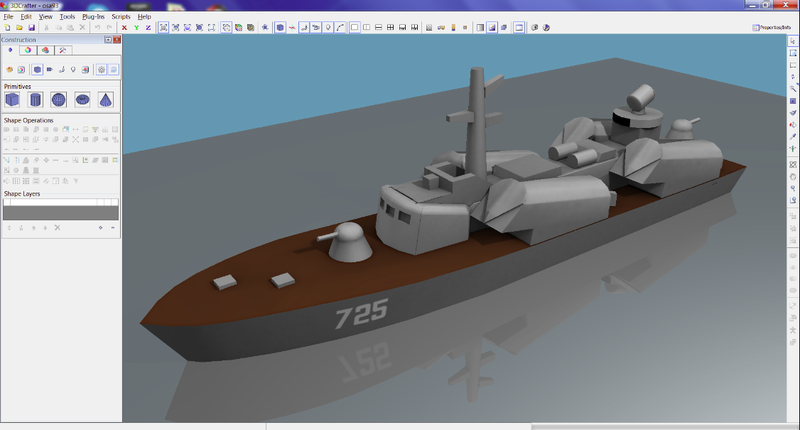 However, finding the perfect 3D modeling tool is a bit of a task. There are various aspects you need to consider and a wide range of features available in these tools. To help you with that, we have listed 20 3D modeling software tools that are easy to use and provide you with more than just 3D modeling features. The first on the list is Blender, a powerful tool and an open-source computer-aided design (CAD) software, and by far the most popular 3D software there is. Blender has a steep learning curve, so it is not really the best choice for people who are just getting started in this kind of craft. But it is ideal for people with advanced to expert skills in 3D modeling, and for people who need sophisticated 3D modeling software for 3D printing. Blender also has the biggest, most active, and helpful 3D printing community. They are very keen in offering a lot of tutorials and step-by-step guides. Blender is also open-source, so people can freely write extensions for it to make it even better. 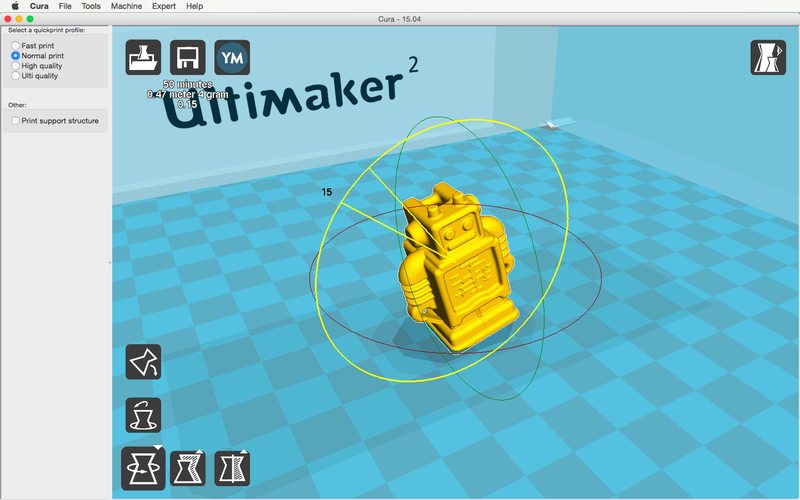 Cura is the standard slicer software for all Ultimaker 3D printers. It converts an STL file (for 3D printing) into G-code language, which can only be understood by a 3D printer. Cura can also be used in other 3D printers, including RepRap, Makerbot, Printrbot, Lulzbot, and Witbox. Don’t get confused. 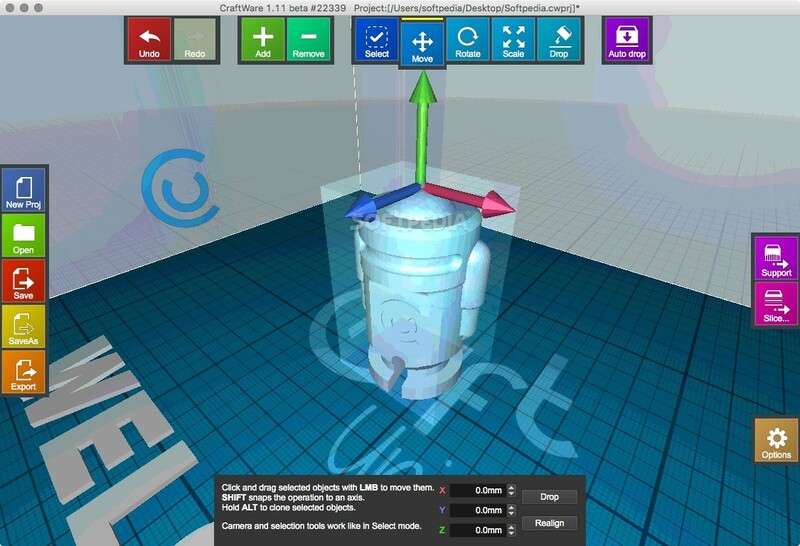 Cura is an easy-to-use 3D printing and modeling software. 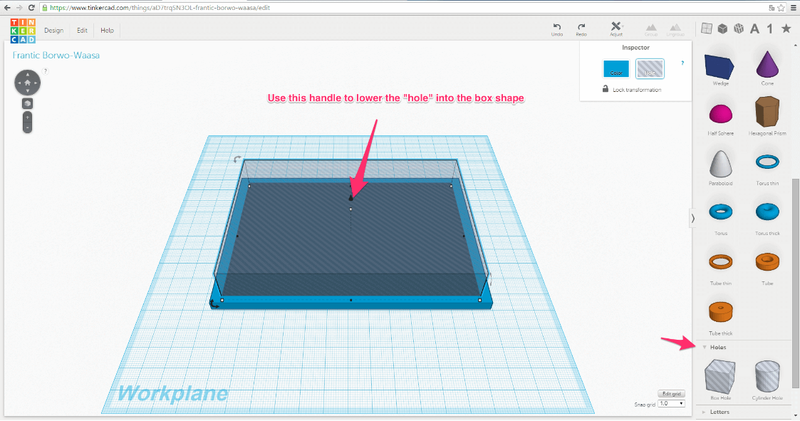 Its clean and simple interface allows the user to manage the most important 3D printing and modeling settings. 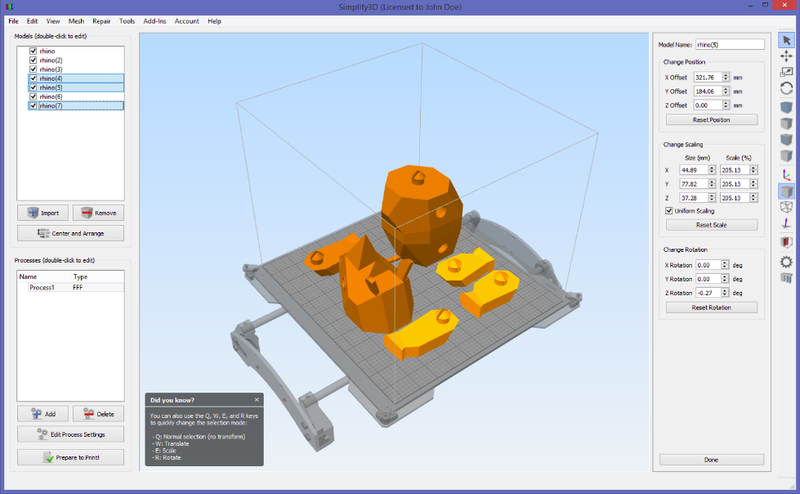 The “Basic” mode of Cura lets the user choose reconfigured printer quality settings for a quick and easy start in 3D modeling. The user can switch over to “Expert” mode to have a precise control over the print quality settings. Overall, Cura is the best 3D printing and modeling tool for beginners who need slicer software to prepare STL files for 3D printing. CraftWare is another slicer software tool developed by a Hungarian startup company, CraftUnique. They created this software to support their crowdfunded CraftBot 3D printer, though this software is also compatible with other 3D printers as well. Craftware boosts their application with some outstanding GCode visualization, where each feature is represented as a different color for easy identification, and a standout feature which is the individual support management. Just like Cura, Craftware users can also easily switch between “easy” and “expert” modes depending on their level of skills. The only downside of this software is that it is still in beta mode, so there might be some bugs left to find on regular usage. 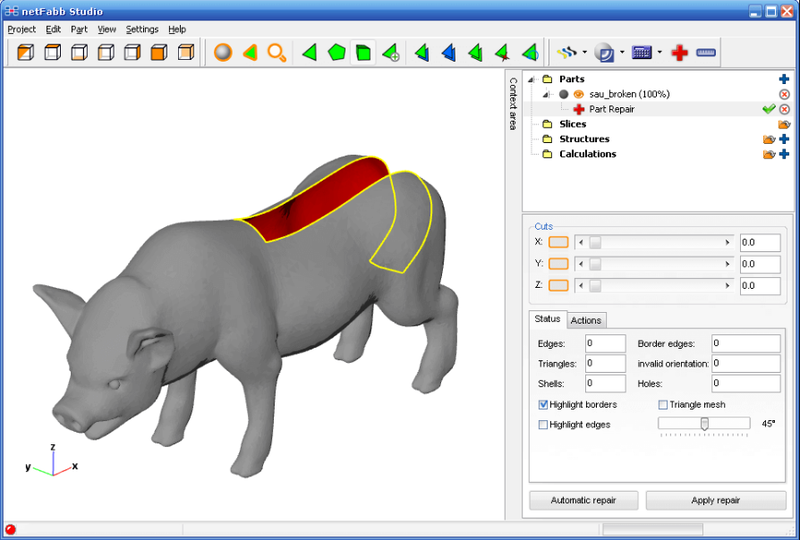 3D Reshaper is a 3D-modeling software that is affordable and very easy to use. It is primarily used for the processing of 3D models. 3D Reshaper is commonly used in fields such of those arts, mining, civil engineering, and ship building. 3D Reshaper comes with support for various scripts, extensions, and textures. It also comes with a lot of features that are very helpful for easy 3D modeling. 3D Slash is a highly recommended 3D printing and modeling software that is both easy to use and refreshingly different from other 3D software. You can easily create and design 3D models using a very simple building-block concept. You have two options on how you will start building your 3D model using 3D Slash—you can start from an empty work space where you have the freedom to add your desired 3D shapes, like cubes, spheres, blocks, etc., and build your way through in creating a 3D model. You then add colors and images and use it as a template, or you can start with a huge block and remove the smaller cubes using a virtual stone-cutter, hammer, or drill. Other features of 3D Slash include a logo design maker, which imports an image and creates a 3D model out of it; and a 3D text maker that allows you to input and format text and then turn it into 3D text. 3D Slash also has “easy” and “expert” modes. Clara.io is a browser-based 3D modeling software that also works like any other desktop-based 3D modeling software. It has common modeling tools for polygon modeling, such as extrusion, beveling, slicing, cutting, and looping. In terms of texture mapping, Clara.io also has UV mapping. Clara.io goes beyond the functionality that you usually see from a browser 3D modeling software. It includes V-Ray, which allows you to light up your meshes using an HDR image. 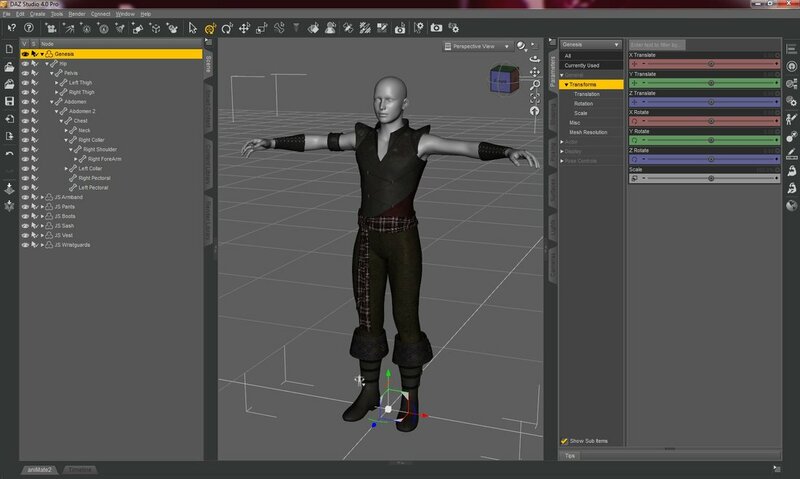 It also supports basic key frame animation for computer-animated movies. Daz Studio is a free 3D modeling software that is also powerful and easy to use. It offers a feature- and functionality-rich user experience and enables you to create amazing 3D art even if you are still a novice 3D artist or animator. Daz Studio allows you to create 3D models using 3D morphing, posing, animation, and GPU accelerated real-time rendering with photo-realistic results. Daz Studio also comes with in-app interactive tutorials so you can learn lighting, textures, and industry standard rigging while working. Daz Studio is also a cross application support with built-in file export capabilities that allow you to import all your Daz 3D content file into other popular 3D software tools, such as 3DS Max, Mudbox, and Maya. Their export format includes Autodesk FBX, COLLADA, OBJ, BVH, and Universal 3D. Meshmixer is one of the most advanced 3D printing software that is used for viewing, checking, editing, and repairing STL files. Meshmixer is good for identifying potential problems in 3D modeling and automatically repairing them. It can even identify a paper-thin wall that might cause problems when it is ready for 3D printing. This 3D modeling software also comes with animation, motion graphic, and rendering application. It also offers features such as a drag-and-drop mesh mixing, 3D sculpting and surface stamping, robust convert-to-solid for 3D printing, 3D pattern and lattices, and a lot more. Meshmixer is now being used in the design industry, health industry (creating detailed contours of 3D prosthetic sockets), and for all manner of tech-savvy creativity. 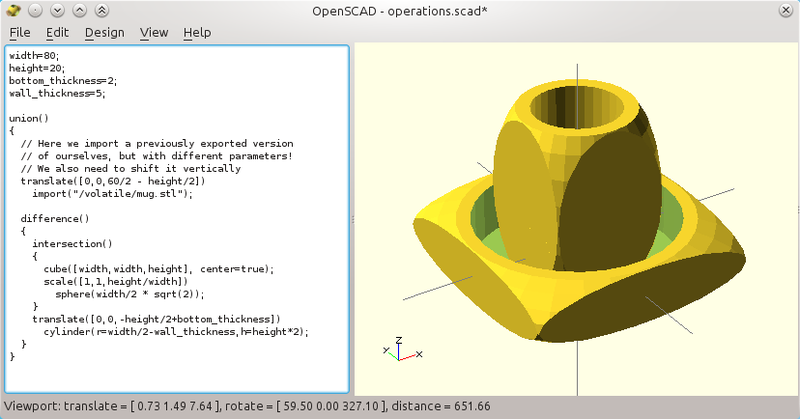 OpenSCAD is a free software for creating solid 3D CAD models, available for Linux/UNIX, Windows, and Mac OSX. What differentiates this 3D software from other software listed here is that it does not focus on the artistic aspects of 3D modeling but instead on the CAD aspects. OpenSCAD is more useful when creating 3D models of machine parts and not very applicable for creating computer-animated movies. It is also stated on their website that OpenSCAD is not an interactive modeler but something more like a 3D-compiler that reads a script file, describes the object and then renders the 3D model from the script file. This gives the designer full control over the modeling process and enables them to easily change any step in the modeling process. 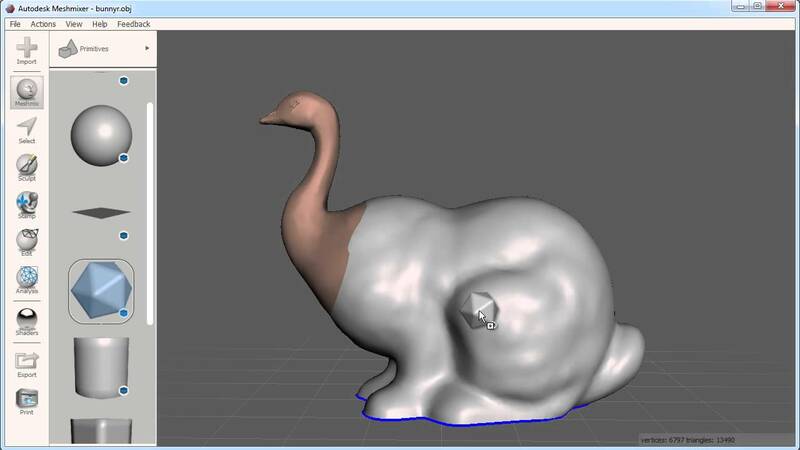 Sculptris is a virtual sculpting tool, focusing on the concept of modeling clay. 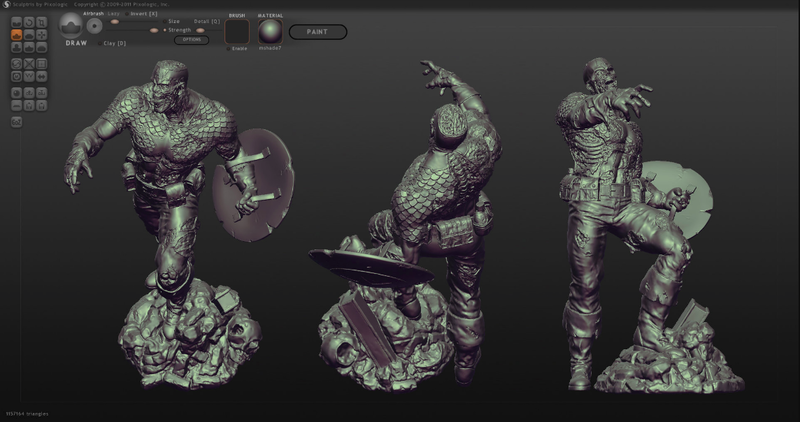 This 3D software tool is ideal for people whose primary goal is to create statuettes or their favorite characters from video/computer games and comics books. 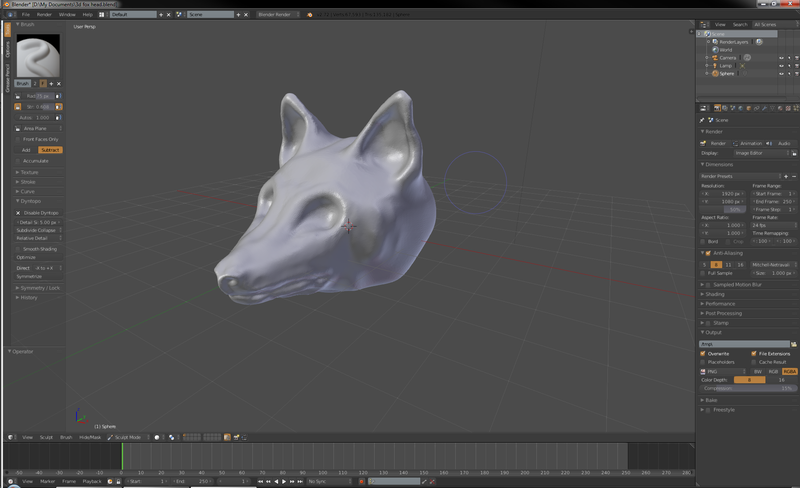 Sculptris offers an excellent way to learn to create 3D models. Some of their features are very easy to learn, even for people with no experience in a digital 3D art, using the more sophisticated (and expensive) ZBrush tool. TinkerCad is a unique online computer-aided design software for 3D printing and also a good 3D software for people who are just starting out with 3D modeling. However, the feature of TinkerCad is limited compared to other powerful 3D software such as Blender, FreeCAD, and SketchUp. With this, many beginning users will switch over to a more advanced tool later. Just like 3D Slash, you can also build 3D models using basic shapes: you stack them up and connect them with each other. 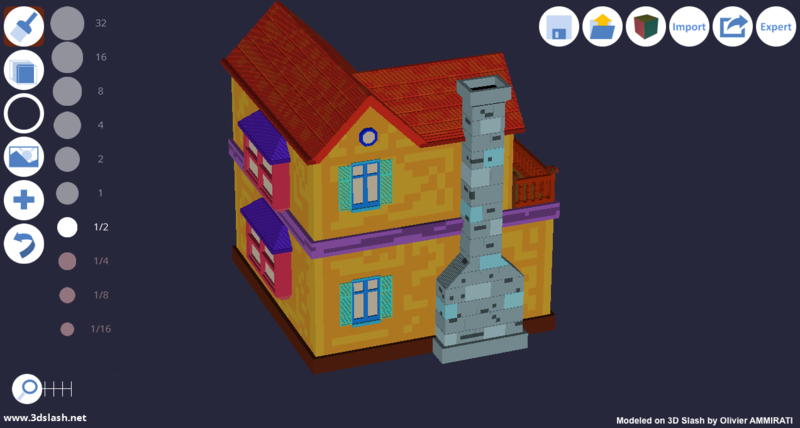 But TinkerCad also offers a more sophisticated feature where it allows you create geometrical shapes in 2D format before converting them into 3D models. TinkerCad also boasts their software to be very fast as it runs in any Web browser that supports HTML5/WebGL on Windows, Mac, or Linux. Plus, it also uses cloud storage so you can easily access your file from anywhere as long as you have an Internet connection. Wings 3D is an advanced subdivision modeler that is both powerful and easy to use. It has a simple interface, and the right-click context menu will give easy access to common commands. 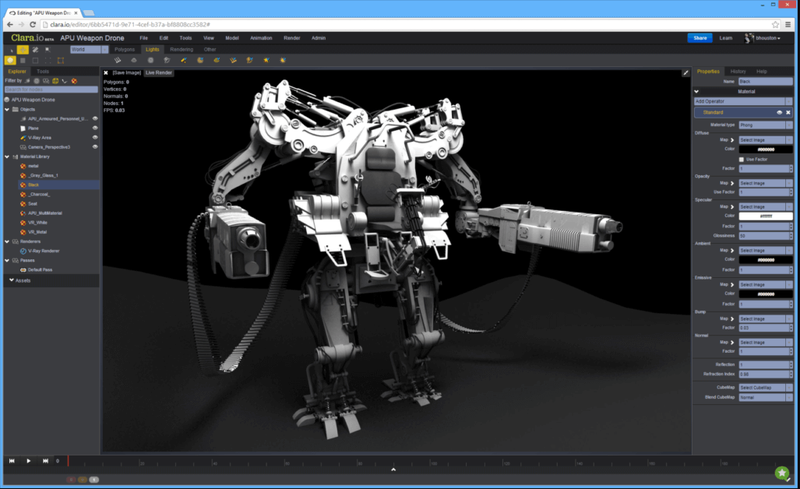 It offers a wide range of modeling tools, a customizable interface, support for lights and materials, and a built-in AutoUV mapping facility, which allows you to cut and unfold an image of your model’s surface and then export it for painting and texturing. It also includes an export facility for common 3D formats. Wings 3D is an open-source application and completely free for both personal and commercial projects. You can also create good 3D animation as simple as positioning the shapes within your scene for each point in time in your animation. The animation can be created through a frame-by-frame process, and you can view your animation in real-time. 3DCrafter also supports animation recording, allowing you to export to an Audio Video Interleave (AVI) file format so that it can be easily distributed. 3DTin is a very lightweight and simple 3D printing and modeling software that is both easy to use and intuitive. 3DTin is perfect for complete beginners with the ambitious goal of designing 3D print models. 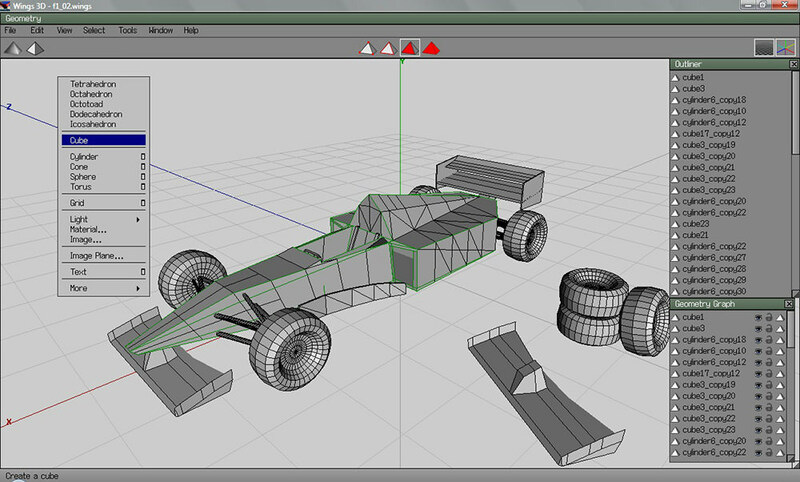 All they need is a Chrome or Firefox web browser with WebGL enabled, and they can start creating 3D models in a flash. You can easily choose your desired 3D shapes from 3DTin’s huge library of templates. Once you choose your 3D shapes you can quickly add them to your sketch. All the sketches and 3D models you have made are immediately stored in the cloud. You can easily access them as long as you agree to its Creative Commons license. All the sketches and 3D models can be exported in STL and OBJ file formats with multiple support in any other popular 3D modeling software. FreeCAD is another computer-aided design software rich in 3D modeling features, such as a complete Open CASCADE Technology–based geometry kernel, modular architecture, and a lot more. Their main feature is the full parametric model that allows you to easily modify your design by editing its parameters in the model history. 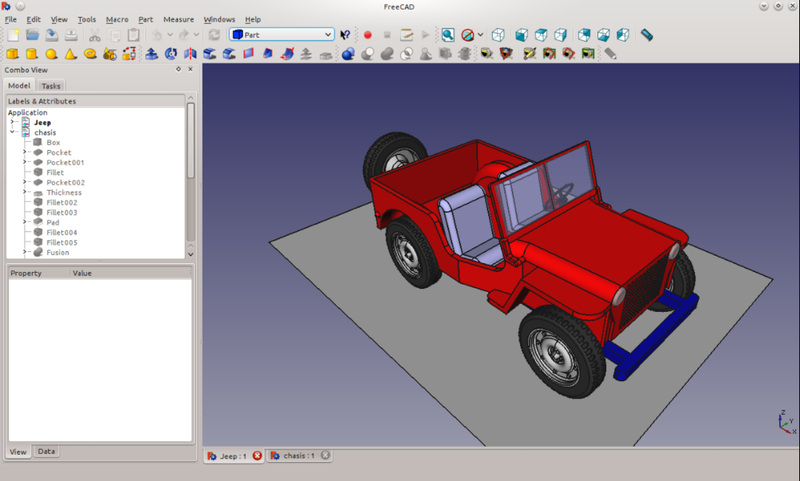 FreeCAD is also open-source software and is highly customizable, scriptable, and extensible. It is a multiplatform software that supports Windows, Mac, and Linux, and can read and write different file formats such as STEP, IGES, STL, SVG, DXF, OBJ, IFC, DAE and many others. FreeCAD is a great resource for developing your 3D design and modeling skills. 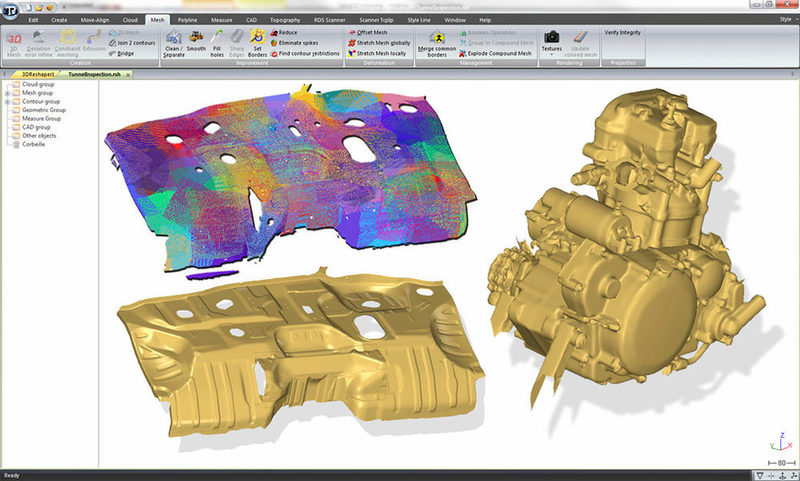 NetFabb Basic is another product from AutoDesk and a great 3D printer slicer software. It comes with a lot of features, such as analyzing, repairing, and editing STL files before you get to the slicing stage. Netfabb Basic is a good choice when you want to do more than just slice STL files. It enables you to quickly repair STL files without the need to learn additional tools like MeshLab or Meshmixer. You can also edit models for production and manufacture it by adjusting wall thicknesses, smoothing rough areas, and more. It also comes with lattice and surface optimization where you can create lightweight parts and add performance characteristics to your 3D model. Repetier is an ideal choice for people with advanced to expert knowledge in 3D printing who still want to stay within open-source software. 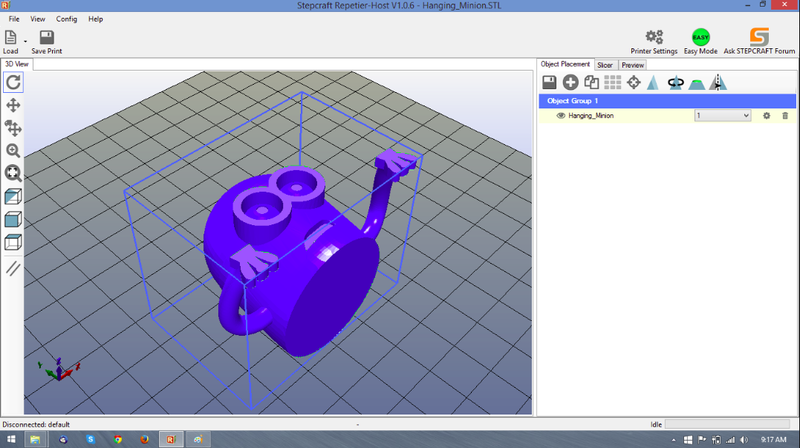 Repetier is also one of the best 3D printing and modeling software and by far the most popular choice within the RepRap maker community. The features of Repetier include object placement where you can import one or more 3D models, then place, scale, rotate, or duplicate them on the virtual bed, with a complete access to preview your result in regions or layer for layer. Repetier is dubbed as an all-in-one solution, as it offers multi-extruder support (up to 16 extruders), multi-slicer support using plugins, and support for virtually any FDM 3D printer on the market. Simplify3D is much more than a 3D modeling tool, it is also a slicer software tool that checks the model for problems and at the same time repairs them. Apart from that, you can also create 3D models using this software with ease. This software is more focused on 3D printing—in fact, is dubbed as the Swiss Army knife of 3D printing. However, it still one of the best choices in creating 3D models as it offers a lot features primarily designed for creating a 3D model. 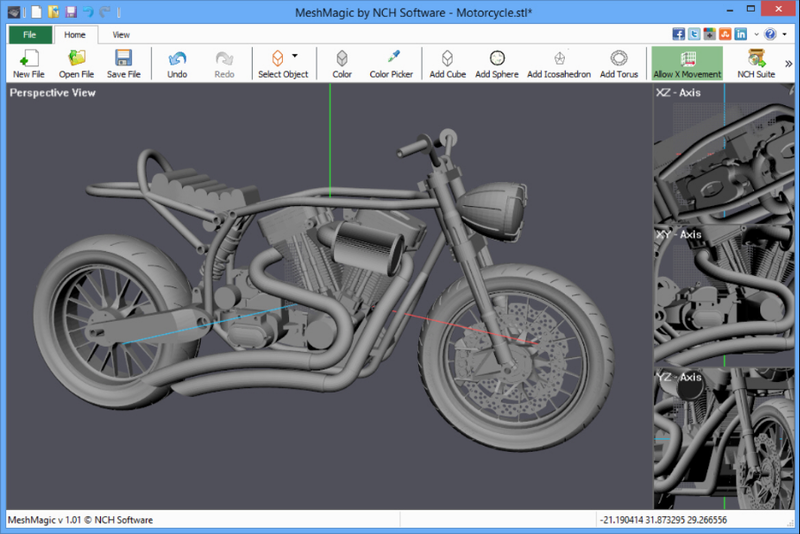 MeshMagic 3D is a 3D Modeling Software that is popular for its easy viewing and editing of STL files. It comes with an easy and intuitive interface that makes creating 3D rendering files and drawing 2D objects simple and much faster. You can also add simple objects such as a sphere or cube, draw simple lines in 2D view then expand to 3D meshes, and transform a 2D outline or drawing into a 3D object. MeshMagic 3D also offers other features such as selecting entire objects, surfaces, triangles, lines or points in one single mouse movement, easily delete selected items, keep the connection points intact while moving objects, and a lot more. 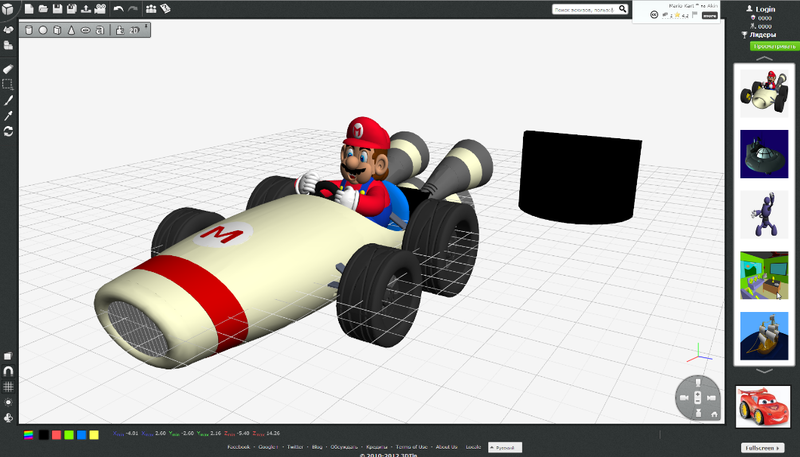 MeshMagic 3D supports .3DP, .3DS, .3MF, .OBJ, .PLY, .STL file formats. SketchUp is a 3D printing software and a great 3D modeling software with a mix of simplicity, flexible functionality, and very user-friendly interface. 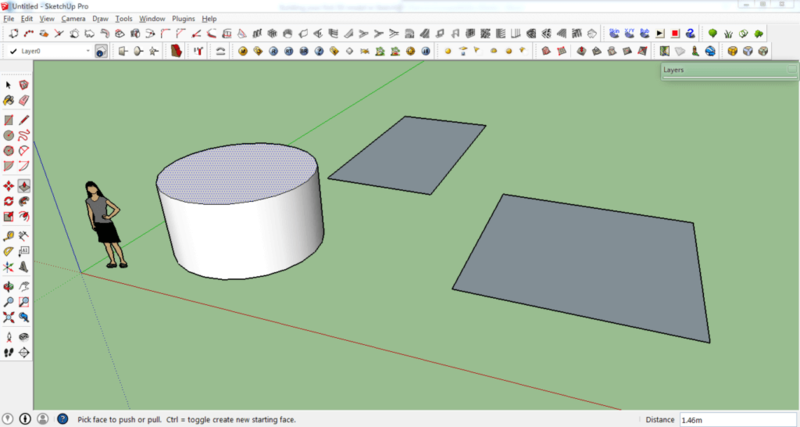 SketchUp has a relatively flat learning curve, which makes it ideal for beginners and easy software for 3D printing and modeling. A SketchUp Make edition is also available. The completely free version contains everything you need for 3D modeling—all you have to do is download the free STL export module and install it. SketchUp also has a professional edition ideal for architects, interior designers, and engineers alike. Their 3D Warehouse is home to the world’s biggest library of free 3D models. You can use the 3D Warehouse to store and share your models and you can also upload your best work and share your creation with the rest of the world.